We have a superior team made up of great individuals. We love to hear from our fans and today we got a letter from G. Scott from Georgia. Our Beach Clinic Director, Scott Champagne has another fan. Thanks for the very kind words Miss Scott. 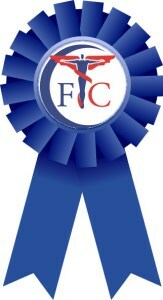 Accolades to First Choice Physical Therapy services in Panama City Beach, FL. I am from Georgia and was spending the week with family who lives in the same neighborhood as Physical Therapist, Scott Champagne. Scott saw me with my walker trudging the sidewalks and came out to speak. My daughter had shared my difficulty with balance and walking after having two back surgeries in three months. He said he felt he could help me while I was visiting if I was willing to give it a try. I was definitely willing. I have participated in a significant amount of physical therapy through the years and with several facilities. I was overwhelmed by his offer. I am confident that a great deal of the healing took place in my body through his focus on core strengthening in just the one week. I will definitely use First Choice when I visit the area again. I am a champion of the quality of your facility and staff. Thank you. I look forward to my next visit to your facility.